As some of you may know I have two shops on ETSY where I share my ever growing hoard of vintage finds. 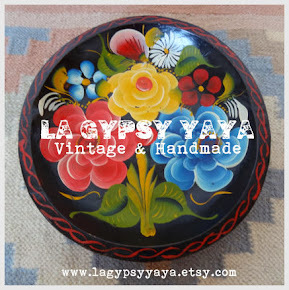 LaGypsyYaya is my place for all the gorgeous & groovy vintage home goods that I just can't keep for myself. 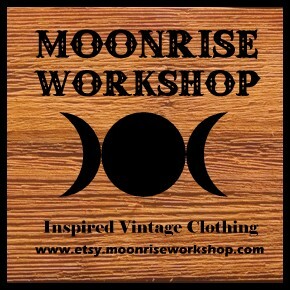 And Moonrise Workshop is for rescued clothing treasures from eras past, mostly with a boho twist. 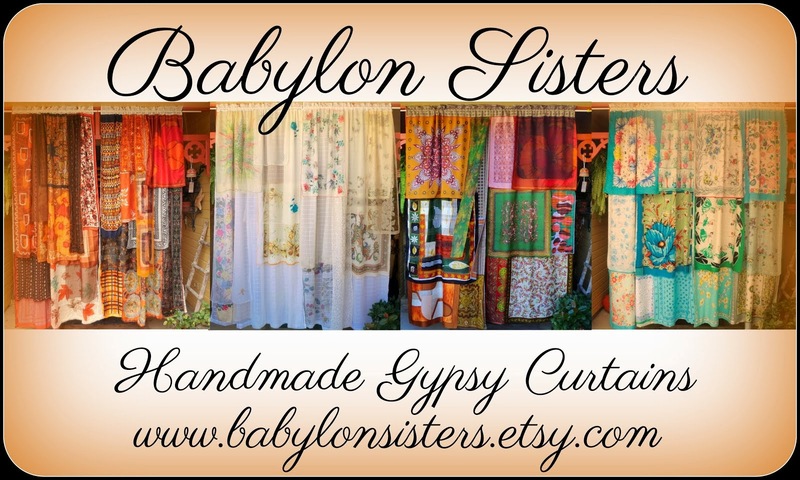 I tend to favor the 60's and 70's and hippie culture in general and my shops definitely reflect that. It was my love for all things vintage and bohemian that led me to this collaboration with Laura Mazurek of The Bohemian Collective. When I heard she was going to be creating a space on her newly built porch right here in Texas, I knew it would be the perfect place for some of my pieces to go live. 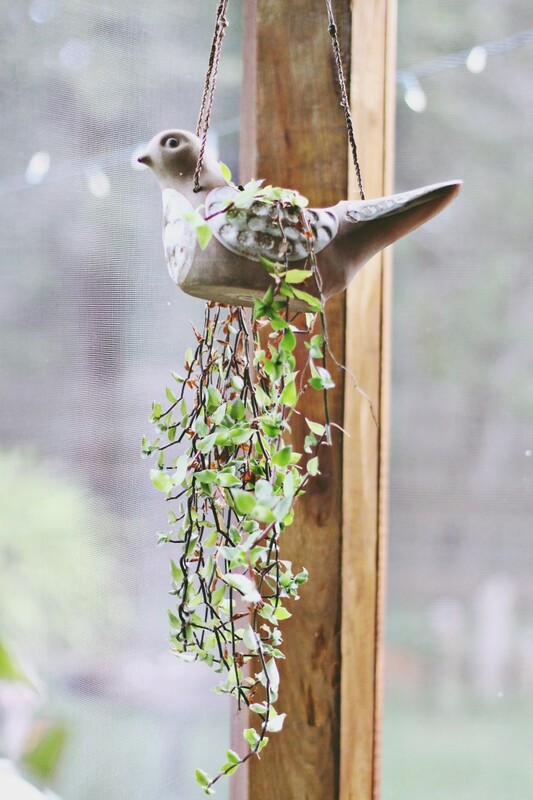 This little birdie planter looks right at home doesn't it? 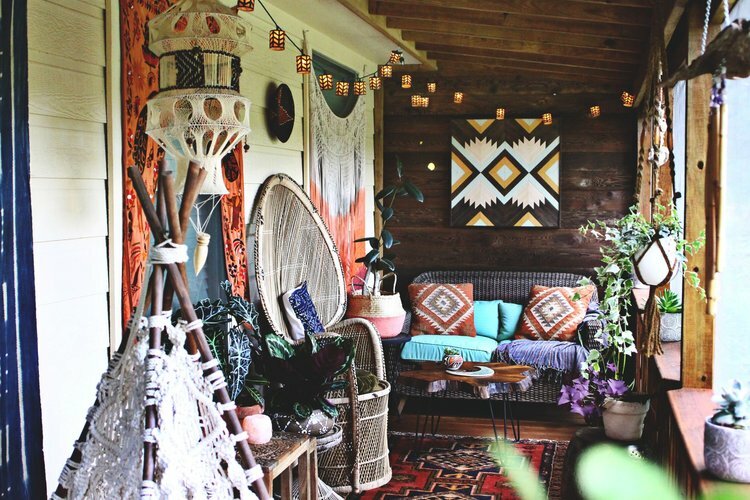 She created such a soulful space, and the color palate is so Earthy and inspiring. And what a divine space to share with her little one! 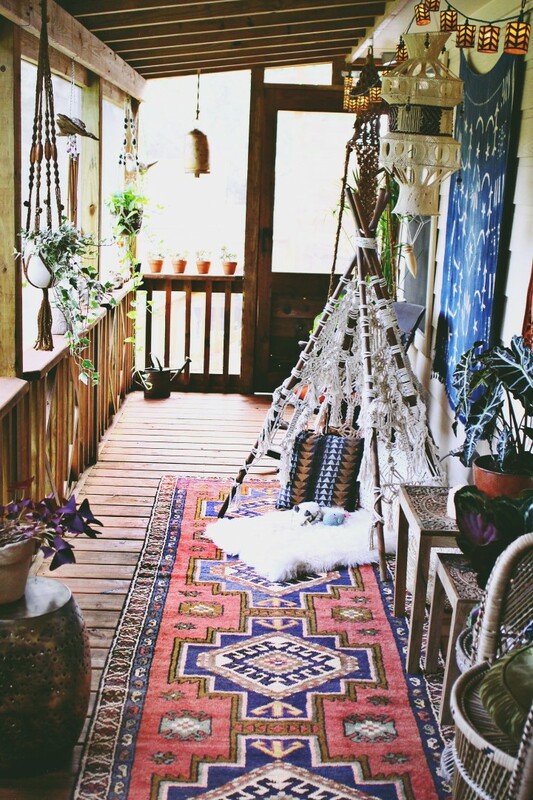 I would love to read there in the mornings with my tea and feel the breeze and cuddle up there in the evenings under the hanging lights and layers of deliciously printed blankets. 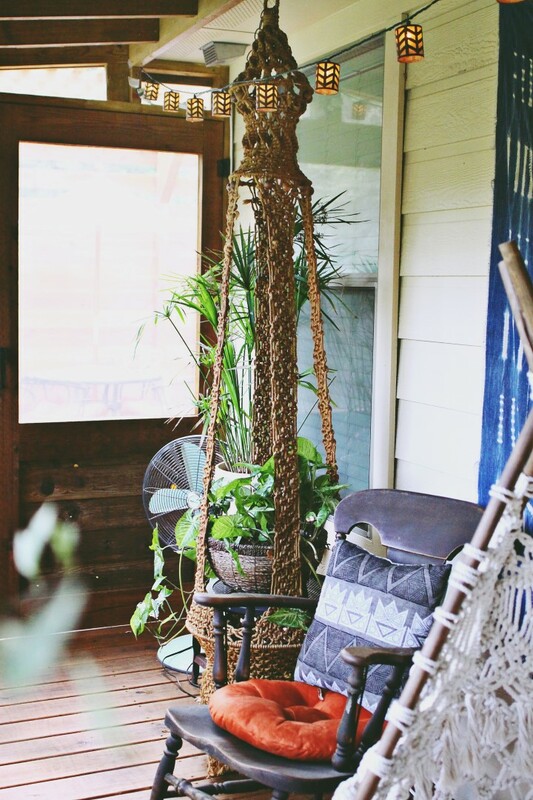 I found that epic macrame on one of my wanders while living in New Orleans years ago and had been waiting for the right place for it ever since. I'm thrilled it became part of such a splendid space. Seriously I geek out for that kind of thing. These beautiful things of the past finding new life in peoples homes and stories. Eeeeekkk! I just luuv it. 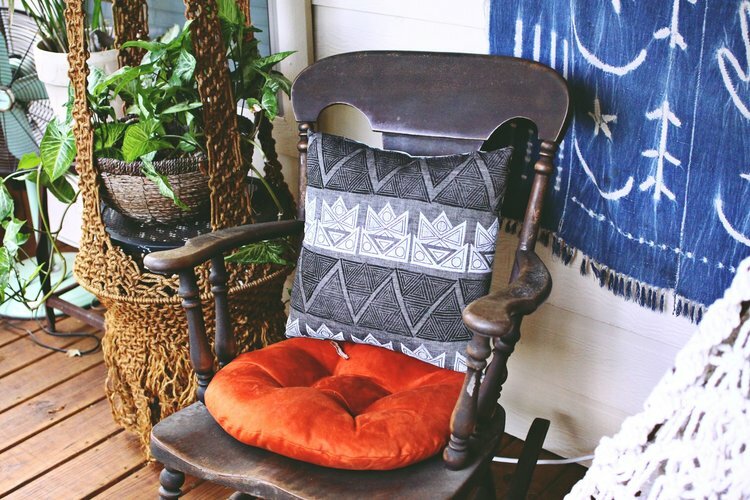 I couldn't be more happy with the reveal and seeing my pieces right at home on Laura's lovely porch! 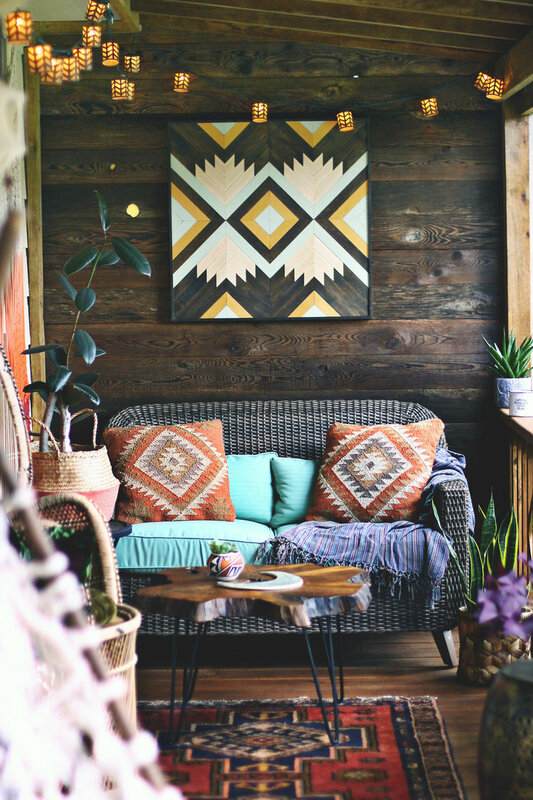 And I'm totally inspired to get cracking on my outdoor space now that Texas temps will soon drop and porch season is set to begin. To see loads more gorgeous photos of her space, the pieces she used and sources, head over to The Bohemian Collective.